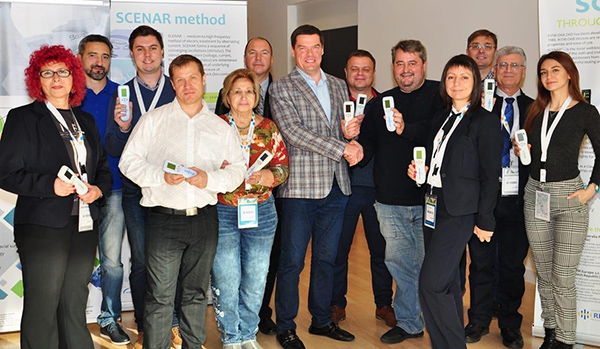 The genuine RITMSCENAR devices and ULM Blankets » SCENAR and DENAS have united! Dear friends and colleagues! We have some important news to announce! In November 2018 TRONITEK LLC became RITM OKB ZAO distributor on exclusive terms. 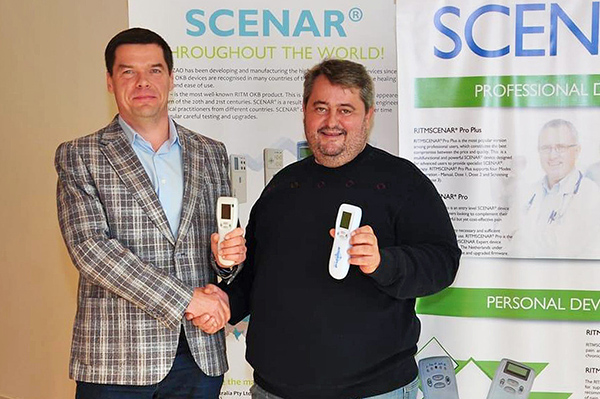 Moreover, the companies’ management agreed to start a close cooperation in order to unite the accumulated experience for developing and selling innovative devices. Yury Starovoytov and Sergey Ryavkin with a group of RITM OKB ZAO staff at the Medical Week 2018 trade fair.